How to cook the perfect Tomahawk steak. Get ready to grill up this Flintstone-inspired behemoth, which is easy once you know how. 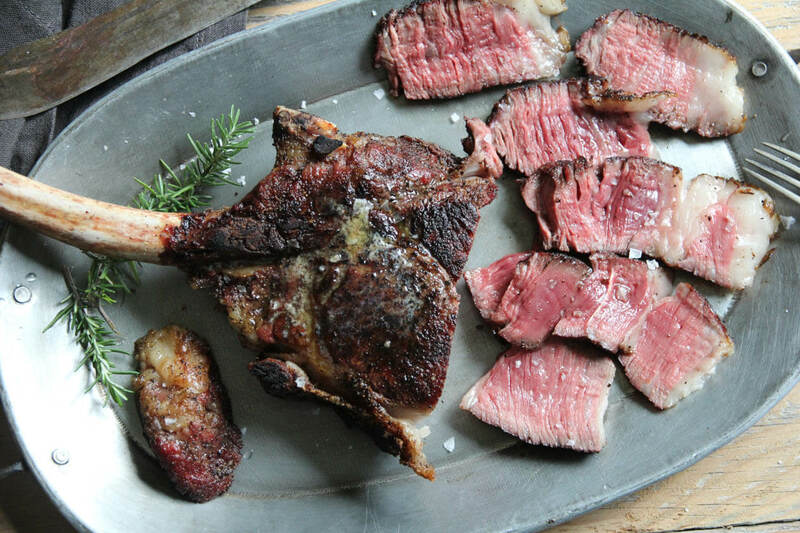 Here’s how to cook a Tomahawk steak. The giant Tomahawk is one of the most visually impressive steaks money can buy. Featuring a thick chunk of ribeye at one end, they usually have at least 6-8 inches of bone handle – perhaps the ultimate meat lollipop. A true tomahawk would probably feed a small family, and you’re going to need to change up your cooking methods, because this baby is not going to just fit in a skillet. With a minimum thickness of 2 inches of steak, it’s also not something you’ll be able to traditionally sear without having a cold and terrible rare centre, or overcooking to get the middle warmed up. Don’t despair – using a simple indirect heat method (which is really a grilling version of this pan reverse sear), you will absolutely nail the perfect medium rare of one of the most impressive meat experiences you can ever have in your own home. And let’s face it, whether guy or gal, once you nail this cook, you’ll definitely get major cred as the meat-spert amongst your friends and family. You’re going to be using a two-zone heat method here, which sounds way more complicated than it actually is. So to start, fill a chimney starter with coals, light them and let them get nice and hot. You’ll know when they’re ready when they ash over and turn grey. Prepare & season the Tomahawk. Likely, your Tomahawk will come vacuum sealed, and possibly frozen. If it is frozen, throw it in the fridge 2-3 days before your cook to allow it to slowly thaw. Remove the meat from packaging, and pat it dry using paper towel. Season generous with salt & pepper. Seasoning should only be done right before you’re ready to put the meat on the grill. 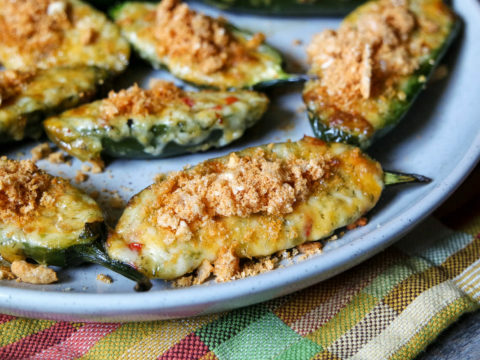 Set up your two zone heat and start the cook. Once the coals are at temp, dump them into your grill making sure they are all on one side, leaving the other side empty. You don’t need to wait for the grate to heat up here as you normally would, because we’re trying to cook the Tomahawk gently to start, not sear it. Once your coals are in, place the seasoned meat over the cool side of the grill. To ensure an even cook and also keep an eye out for hot spots, flip the Tomahawk over every 5 minutes or so, not only flipping end to end, but also side to side. Keep it as far from the heat source as your grill will allow. The most crucial piece of equipment here is going to be your thermometer (I use and recommend Thermapens). Once you’re 15 or so minutes into the cook, you’ll want to start paying attention to the temperature and checking it regularly. The very centre will be the last to warm up, and you might find the edges will be 10-20 degrees hotter. While a finished medium-rare steak is about 130-135f, we’ll be working with lower temperatures to account for the extra heat added when we sear it. This is a really neat step that let’s you enjoy a hot steak! Instead of resting at the end of the cook, you can actually rest the meat right before the sear, which means you can eat it as soon as it comes off the grill, nice and hot. So, when the centre of the steak hits 95-100 degrees, pull it off the heat, and cover with foil, at least 10-15 minutes. Many guides will tell you to simply use the coals that are in the grill to finish your steak, but that’s how you end up with a pretty underwhelming sear. If you wanna finish it high and fast, you need to bring the heat! Half-fill the chimney starter until the coals ash over, then add them on top of the existing coal pile. Give the grate 3-5 minutes to heat up with the fresh coals. Place the steak directly over the searing hot coals, turning over after a minute to sear the other side, then holding the fat side over the coals after another minute. If you haven’t got the char you want, you can flirt with another 30 seconds on each side. You’ve worked hard, and you deserve this. I recommend finishing with a sprinkle of salt flakes, a knob of excellent quality butter, and slicing it fairly thin for maximum enjoyment. You got this!